A friend asked me if I have a satin pillow case and I felt like I was missing out so after hearing her approval of it and reading some articles I picked this beauty up on a clearance rack to try it before making a more costly commitment. Best $8 spend and for me mainly hair related. My curls were less less tangled and tossed as compared to cotton pillow cases. Reduced appearance of sleep lines and the formation of wrinkles on your face and hair benefits too, from less frizzing, less hair loss to prolonging hair styles. 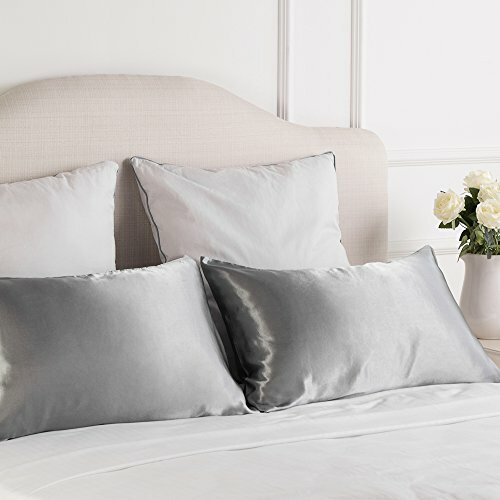 Checkout this article about 7 beauty benefits of a satin pillow. You will want to get one and they don't have to break the bank. Here are some amazon options for quick and easy shopping. Little tricks that can make a difference over time add up. Try this one and Be Awesome and Sparkle.